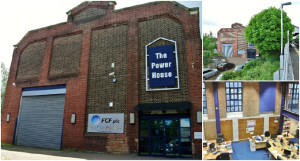 Located almost exactly mid-way between Heathrow Airport and Hammersmith, The Power House provides modern contemporary office space in a convenient location adjacent to Isleworth Station. Regular train services are available from Isleworth to London Waterloo and a number of local shops and restaurants are available close to the property. The Power House comprises a former electricity generating station that has been imaginatively converted into high quality contemporary office space. The premises have the benefit of central heating, kitchen, carpeting, a double height loading door and on-site parking for up to 8 cars in the private driveway. The accommodation has 24 hour access and is ideal for companies and organisations seeking offices with character at an economic rental. South West London could benefit enormously from Cross Rail 2 following the announcement by the Major of London for a £20 billion scheme which will run North/South through London. The scheme could incorporate the stations at Twickenham, Teddington and Kingston. If the project receives approval, work could start in 2017 and will significantly reduce journey times into Central London from the South West in due course. Hampton Hill – Acquiring an office building on behalf of a developer with residential conversion potential. 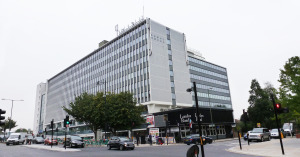 Cheltenham – Office Licence renewal in the town centre of behalf of a communications company. Introducing Sauflon Pharmaceuticals Ltd to Regus at Regal House Twickenham so that, owing to expansion, a department could be relocated from their current headquarters in York Street, Twickenham. Michael Grieveson and Company originally acquired Sauflon`s Head Office at 49-53 York Street, Twickenham.